A young boy has lost his cat and sets of to search for her. 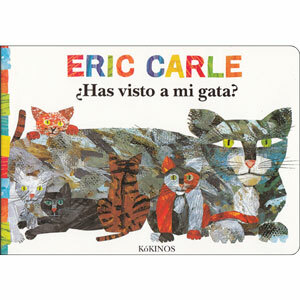 On his travels, he finds lots of different types of cat from all around the world but where has his pet got to? 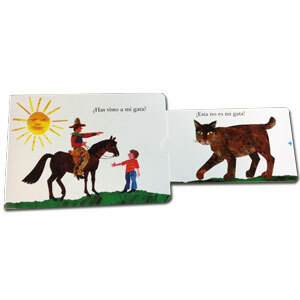 This is a sturdy board book with pull-out tabs. ¿Has visto a mi gata? is written entirely in Spanish and is aimed at native speakers. It is published in Spain and uses Castilian (European) Spanish.